Both of these will be release May 24th! This page-turning debut novel will entice fans who like their paranormal romances dark and disturbing. It's a natural next-read for fans of Stephanie Meyer, Carrie Jones, and Becca Fitzpatrick. But instead of mythical creatures, blood magic has everything to do with primal human desires like power, wealth, and immortality. Everywhere Silla Kennicott turns she sees blood. She can't stop thinking about her parents alleged murder-suicide. She is consumed by a book filled with spells that arrives mysteriously in the mail. The spells share one common ingredient: blood, and Silla is more than willing to cast a few. What's a little spilled blood if she can uncover the truth? And then there's Nick—the new guy at school who makes her pulse race. He has a few secrets of his own and is all too familiar with the lure of blood magic. Drawn together by a combination of fate and chemistry, Silla and Nick must find out who else in their small Missouri town knows their secret and will do anything to take the book and magic from Silla. 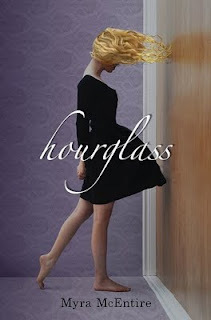 +Hourglass sounds fantastic--a mix of paranormal and sci-fi? Normally I don't read sci-fi, but the last mix I read was Across the Universe and that one was terrific! Plus, the synopsis hints at it being quite the thriller :). Would love to know what happens! +Blood Magic - yes! 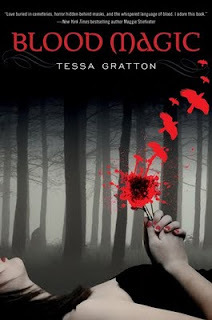 Did I not just squeal over Becca Fitzpatrick's books in my last post? But even so, blood magic in itself seems intriguing, something a few fantasy books mention but hardly ever focus on, you know? Plus dark and disturbing--those are too few in this field. Definitely excited about both these books too. Have them on my wish list. Great picks! I'm excited about these two as well! Especially Hourglass! I can hardly contain my excitement over it. Great picks! Both of theses sound great. I'm especially intrigued with Blood Magic. Nice choices! Excellent picks. Both of these are on my wishlist. LOL, as it happens, I AM waiting for Dreamland Social Club! I will enter your giveaway. :)Thanks! I really can't wait to read this one either, I've heard great things! Thanks so much for stopping by! Hourglass looks amazing! I can't wait to read that one! I'd like both of these, although I think I want Blood Magic just a bit more than Hourglass! Btw, I didn't make my background. I don't remember where I got it. I thought there was a link somewhere or at least the name but it might be covered up by my sidebars.